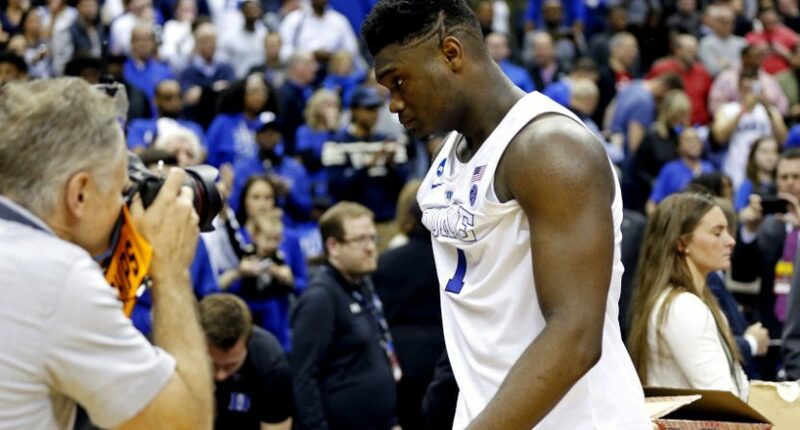 The NCAA Tournament ratings have been up so far, but how much of that is from fans only interested in Zion Williamson and Duke? We'll find out in the Final Four. This year’s NCAA Tournament ratings are still up year over year, but there are questions about if that will continue for a Final Four with some surprising names (and without Duke and Zion Williamson). The tournament’s first-round ratings were tied for the highest in 28 years, and through the first weekend, the ratings were up 8 percent year over year. At that point, the tournament also was posting the second-highest averages (behind only 2015) since its 1991 expansion. Live game coverage across TBS, CBS, TNT and truTV is averaging a 6.7/15 HH rating/share in the metered markets, tied for the third-highest rating through the Regional Finals in 26 years. The 6.7/15 HH rating is up 8% over last year (6.2/13), based on Nielsen metered market delivery. It’s not particularly surprising that the Elite Eight games drew well, considering that all four games had margins of victory of six points or less (six for Texas Tech over Gonzaga, one for Michigan State over Duke, six in overtime for Auburn over Kentucky, and five in overtime for Virginia over Purdue). And some of the Sweet Sixteen games were quite close too, especially Duke’s narrow win over Virginia Tech and Purdue’s overtime win over Tennessee. But the bigger question going forward may be how many fans were watching the Elite Eight thanks to some of the big-name programs that lost, perhaps particularly Duke given the interest in Williamson, and if those fans will stick around for the Final Four Saturday and the championship game next Monday. It’s significant that Duke in particular has driven a ton of interest this year. The Blue Devils’ Feb. 20 home game against North Carolina (a 88-72 victory for the Tar Heels) drew a 3.2 overnight rating on ESPN, the network’s best regular-season college basketball rating since a different Duke-UNC game in March 2008 drew a 3.7, and the best basketball rating of any sort this season behind the NBA on ABC Christmas Day double-header and the NBA All-Star Game. And the Duke-UNC rematch March 9 drew a 2.5, up 25 percent from the schools’ second meeting last season, and that was even without Williamson. As Paulsen noted at Sports Media Watch after that second game, “Duke has now played in the four most-watched games this season, five of the top seven and six of the top nine.” So there are questions about how many will watch a Final Four without Duke, and also without another big-audience team in Kentucky, and with a couple of less-well-known teams in Texas Tech and Auburn. We’ll see how the ratings turn out for CBS.